It was with interest that we read the recent survey by Performance Leader, Managing Partners’ Forum (MPF Global) and Internal Consulting Group (ICG) into the current trends in ‘Partner Contribution and Compensation Management’ within professional services and advisory firms. 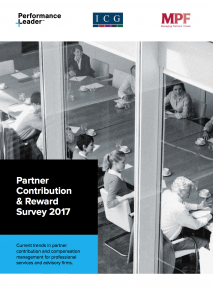 The ‘Partner Contribution and Reward Survey‘ makes interesting reading for anyone leading a professional services firm. In particular, we would point you in the direction of the eight recommendations on Page 9 of the survey. One particular issue highlighted by the study, which continues to have significant impact on the majority of professional services firms is the continued obsession with short-term, narrow, ‘activity-driven’ financial metrics such as billable hours and utilisation. In this Point of View article we examine the impact these ‘activity-driven’ metrics have on client relationships and the firm’s staff. We then investigate whether the traditional culture of professional services firms – underpinned by billable hours and utilisation metrics – is compatible with the ambitions, expectations and attitudes of junior staff members. Finally, we outline our recommendations for professional services firms. We have written before that it is time for professional services firms to slaughter the ‘uncontested untouchable’ of billable hours because it specifically rewards and underpins behaviours that can be both to the detriment of the firm and, more importantly, its clients. The survey shows however that narrow, financial ‘activity-driven’ metrics are still the key determinant of Partner reward in most professional services firms. The critical thing for Partner groups to consider is this; what signal does your focus on activity-driven metrics – such as utilisation and billable hours – send to clients and your firm’s staff? Consider the impact on your clients first. The first problem, as we previously mentioned, is the behaviours these metrics reward. If reward is purely based on activity levels, surely this promotes inefficiency? There are few other industries where the quantity of input (hours) is rewarded over the quality of output. In our experience, clients hate billable hours. The fear of being charged a significant amount for simply contacting the firm means there is little incentive for regular communication and clients can become equally cynical every time their professional advisor contacts them. Can any metric that causes the client to be suspicious of your firm or deters communication be a good thing? Within the firm, narrow metrics do a disservice to any Partners who might want to use their time to focus on additional strengths that are of benefit to the firm such as business development, client relationship management or coaching and mentoring. The focus on ‘one-size-fits-all’ financial, activity-driven metrics allows little flexibility or incentive for Partners to carry out vital roles on behalf of the firm. As Professor Laura Empson has previously discussed, in some professional services firms you find a perverse situation whereby a Managing Partner actually loses authority and influence among the Partner group because she has passed clients to another Partner in order to fulfil her role as leader of the firm. Staying within the firm, narrow financial metrics (such as utilisation) provide little incentive for staff members to undertake additional activities such as learning and development which could greatly benefit the firm in the long run. We are often told by our programme participants that one of the main reasons they struggle to attend programmes and subsequently put the learning into practice is because they simply do not want to fall back on their utilisation targets caused by days out of the office. Is the traditional ‘activity-driven’ culture of professional services firms compatible with younger generations? The final point to consider is whether the traditional culture of professional services firms, illustrated in the report by the ongoing weight placed on activity-driven metrics, will be compatible with the ambitions, expectations and attitudes of future generations – particularly when it comes to work-life balance. It’s easy to understand why the traditional ‘activity driven’ culture is unlikely to change in many firms. 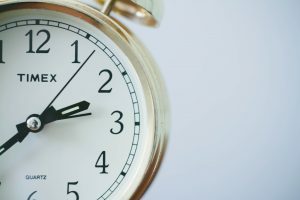 The most senior individuals in the firm have likely worked extremely long hours and made significant sacrifices all their working life to meet the firm’s activity-driven expectations to be rewarded and ‘make it to Partner’, so a focus on rewarding activity-driven metrics is something they accept and to which they have become accustomed. The question is whether those employees who might become future Partners are willing to subscribe to the uncompromising expectations created by activity-driven metrics? The problem for professional services firms is that for a large proportion of junior staff, the traditional expectation to work very long hours in the hope of ‘making Partner’ is simply not worth the sacrifice. In our conversations with junior staff, it has become clear that younger generations are less likely to subscribe to the same work regime as their parents or make the sacrifices they witnessed them make while growing up. As David Maister once pointed out, the ‘risk of not making it’ used to serve professional services firms as it put a large degree of pressure on junior staff to work long hours to succeed. Perhaps the ‘risk of not making it’ no longer carries the weight or threat it once did? Or perhaps ‘making it’ now carries a different definition such as achieving a satisfactory work-life balance or making a positive difference to society? Interestingly, the ‘Partner Contribution and Reward Survey suggests there is a desire among some Partners to broaden the range of performance metrics. This is something we wholeheartedly support. Firstly, we suggest firms start to measure and reward behaviours that put the client first as diligently as they reward activity metrics. Firms could consider alternative pricing structures that are not based on ‘activity’ metrics. Alternatives might include ‘fixed fees’ or value-based pricing whereby prices are set as a function of value created for the client and the ability to design and deliver a service that directly meets clients’ needs, rather than on the cost of production (hours billed). The signal value-based pricing models send to clients around your firm’s motivation and commitment could not be more different than the perception created in your clients’ minds by traditional ‘hours billed’ models. Of course, the challenge ‘value’ presents is that firms will need to be much more transparent and clear about ‘client value’. Here’s another important point for Partners to consider: some firms are already doing this. Examples include Reed Smith and Jackson Lewis. Within the firm, we suggest firms explore additional metrics to assess contribution and determine reward beyond ‘activity-driven’ metrics. Other examples of behaviours firms could measure and reward include: client loyalty, business development, people development, time spent coaching and mentoring, collaboration, relationship building, trust, client service, innovation, pro-bono commitment, thought leadership generation and public speaking. Until we get significantly better at matching money to contribution, we need to embrace the difficult to measure. We have published a Points of View series: Mission Impossible? Managing Performance within the Partner Group giving additional perspectives on the ‘Partner Contribution and Reward Survey 2017’.